Small satellite launch company Rocket Lab's first mission of 2019 will be a dedicated launch of a 150kg satellite for the Defense Advanced Research Projects Agency (DARPA), highlighting the U.S. Government's demand for a responsive, ultra-flexible and rapidly acquired launch service such as Rocket Lab's Electron. The mission could help validate emerging concepts for a resilient sensor and data transport layer in low Earth orbit – a capability that does not exist today, but one which could revolutionize global communications by laying the groundwork for a space-based internet. 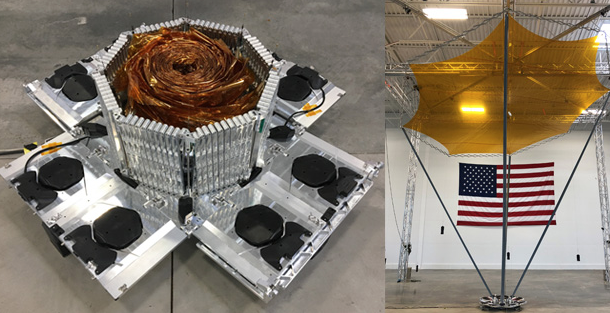 DARPA’s Radio Frequency Risk Reduction Deployment Demonstration (R3D2) mission is scheduled for launch in late February and intends to space-qualify a prototype reflect array antenna to improve radio communications in small spacecraft. Rocket Lab founder and CEO Peter Beck said that rapid acquisition of small satellite launch capabilities is increasingly important to U.S. Government organizations like DARPA. The ability to rapidly space-qualify new technology and deploy space-based assets with confidence on short notice is a service that didn’t exist for dedicated small satellites until now. They’re honored to provide Electron’s agile and flexible launch service to DARPA and they look forward to delivering the innovative R3D2 payload to orbit. The mission, the first of monthly Electron launches this year, will lift-off from Rocket Lab Launch Complex 1 on the Mahia Peninsula of New Zealand. To ensure precise insertion and responsible orbital deployment, the R3D2 payload will be deployed via the Electron Kick Stage to a circular orbit. Using this unique launch method, Electron’s second stage is left in a highly elliptical orbit where the stage is subject to significant atmospheric drag, causing it to de-orbit and burn up to nothing in a reduced time frame. The Kick Stage is then used to deploy the satellite payload to a precise orbit, following which the Kick Stage can perform a de-orbit burn to speed up its re-entry, leaving no orbital debris behind in space. The Rocket Lab Electron launch experience is the world’s first customized small satellite launch service. With the choice of two Rocket Lab launch sites, and the ability to rapidly launch to orbit as frequently as every 72 hours, each mission is tailored to the customer requirements supplying flexibility, responsiveness and control over their own orbit.